Enjoy Retro Cheddar Cheese Jell-O Salad for your next gathering. Cheddar Cheese Jell-O Salad has been a recipe for Jell-O salad in my family archives for as long as I can remember. You can recreate this retro recipe in no time flat. When I was growing up it wasn’t a holiday or a special occasion without a fun Jell-O salad. 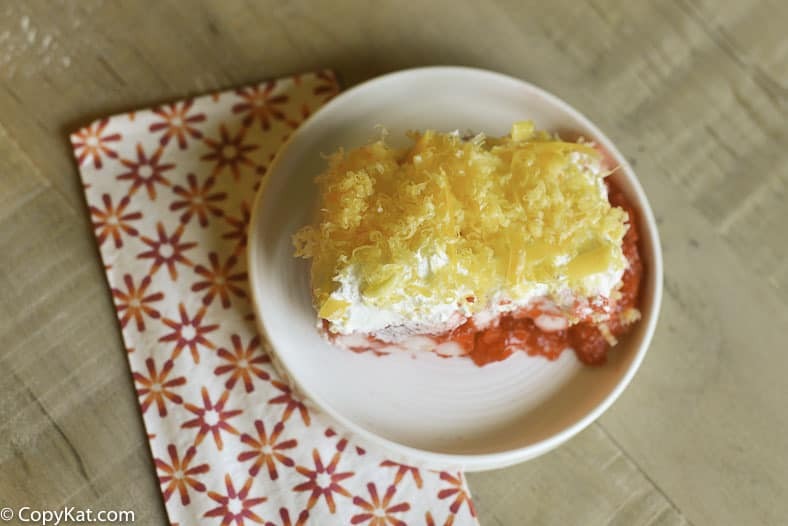 Jell-O is simple to make, and with a few mixed in ingredients, you can turn an ordinarily canned pineapple into something far more magical than it is straight from the can. This particular Jell-O salad is made with cherry Jell-O, a small 8 ounce can of pineapple, and lots of fresh miniature marshmallows. It’s hard to beat the familiar flavors of this treat. 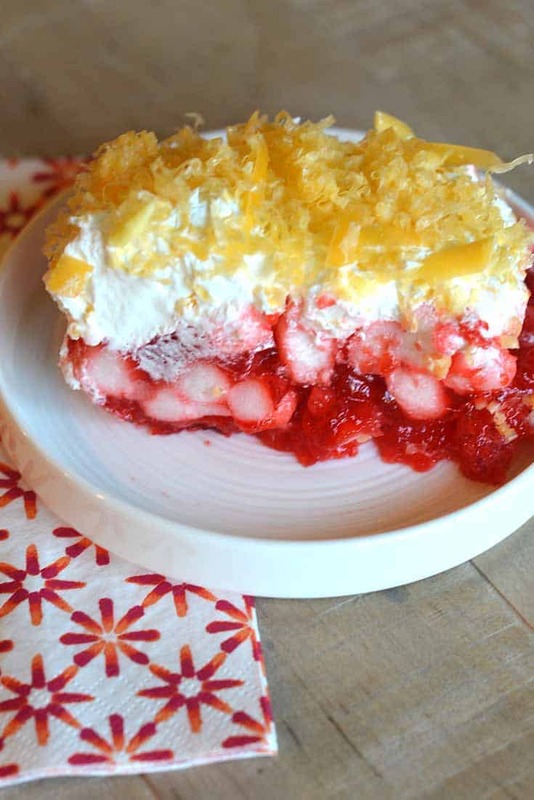 This Jell-O salad is topped with an 8-ounce container of Cool Whip, and a light dusting of shredded Cheddar cheese tops this fun Jell-O salad. I really served this Jell-O salad at an evening party, and it got thumbs up from all of the guests.